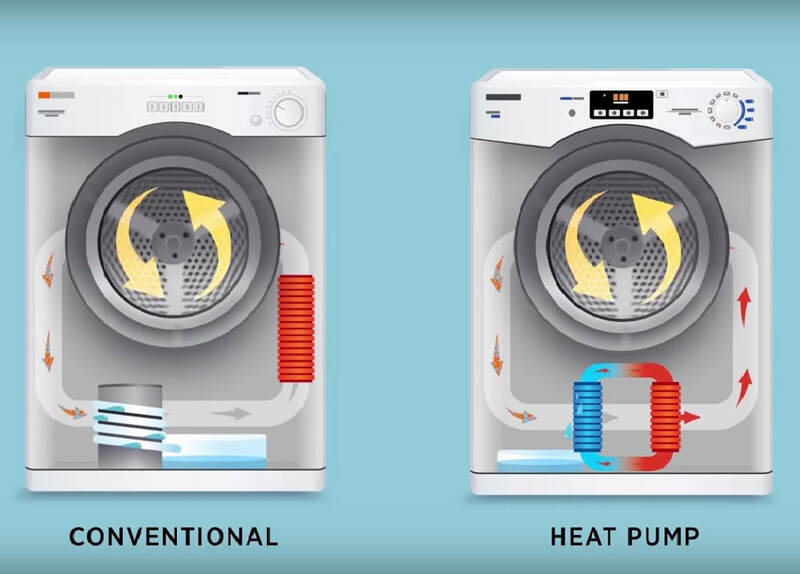 The way Heat Pump tumble dryers work is quite simple. They use hot air to collect moisture from your clothing, passing it through several filters. This hot air is then re-used, meaning this type of tumble dryer uses a lot less energy than other models such as vented or condenser. ​Why should I choose a heat pump tumble dryer? ​How long does a heat pump tumble dryer take? ​How does heat pump technology work? ​Do heat pump energy ratings matter?